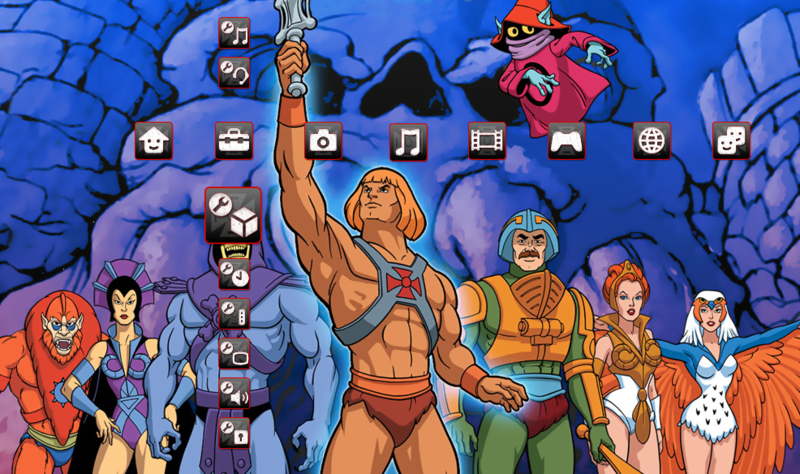 A while back I became slightly obsessed with customizing my Playstation 3 with He-man stuff. I went looking online and as usual there was nothing for He-man that has already been made by fans. So I decided that it would likely be ME who had to make the stuff to do just that. One of the first things I did was look up He-man themes. There was only one out there and it was really bad. Someone didn’t take the time to think it through and it looked very amateurish. I went with their look but changed it and made all of my own custom buttons for the theme. This required use of photoshop for styling but also other programs to create the actual P3T file needed to use in the actual PS3 system. Many hours of several days later I had finished my theme, or least version 1.0 of it. So after doing so I posted it online to the various free PS3 theme websites like allps3themes.com and bestps3themes.com. 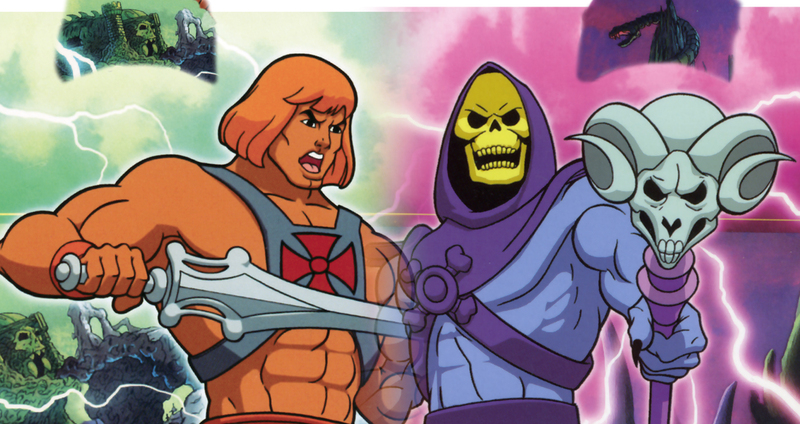 Here is the file in case you would like to use the theme yourself, ( He-man_Classic.p3t ). Here is an example of what the theme will look like if loaded on your PS3. 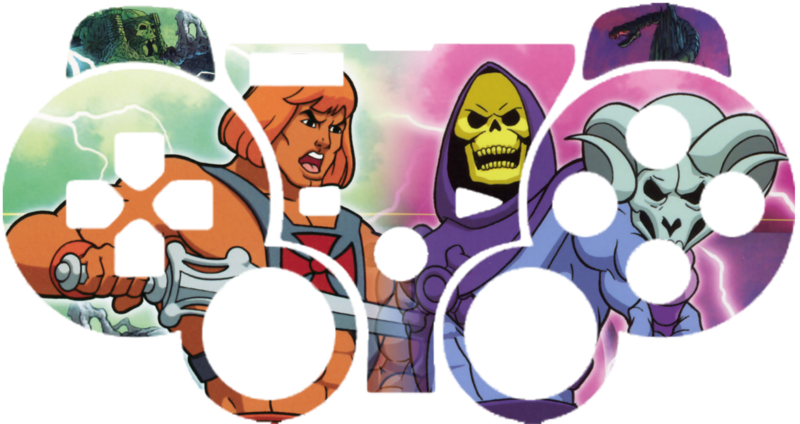 The next thing I did was much simpler, I took a few images scanned from the He-man DVDs and combined them to use on a PS3 controller skin cover. Here is the image that I created that you can also download and use as well for this same purpose. If you use this make sure to use the non-cutout version (the one on the left) so they don’t have to cut it so precise. If you send them the other one it will most likely come out looking terrible. This entry was posted on 10/21/2010 by Charles. It was filed under He-man, Playstation .